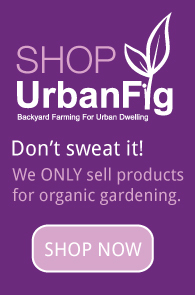 It’s hard to calculate exactly how many urban gardens and farms have popped up around the country in recent years, but we can be sure of one thing: the interest in urban farming is showing no sign of slowing down. 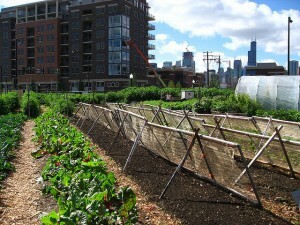 With more people now living in urban environments rather than rural settings, urban agriculture makes a ton of sense. Why ship food in from hundreds—or thousands—of miles away when it can grow fast, cheap and easily in a city setting? Here in Los Angeles, the urban farm capital of the U.S., more than 70 community gardens feed an estimated 4,000 city residents. Beyond that, there are hundreds of for-profit urban farm projects in and around the city that populate our growing number of farmers markets (more than 200 a week), CSA delivery programs, and even supply many of our local restaurants and markets with fresh produce, eggs, honey, dairy, meat and more. Growing food in an urbanscape makes sense for urban populations. It serves us to depend less on our rural farmers for things we can produce locally. And not to worry—there’s still enough business to keep rural farming thriving too. The move towards urban farming also diminishes our dependence on fossil fuels—which are necessary in trucking in food grown elsewhere. Shorter distance between soil and skillet means it’s not only less damaging to the environment, but the food is healthier, too. Freshness counts in more ways than you might think. In his book “Tomatoland: How Modern Industrial Agriculture Destroyed Our Most Alluring Fruit”, Barry Estabrook details the process by which tomatoes are picked in Florida and ripened artificially with gases before appearing on your supermarket shelf. When we forego the difficulties in shipping ripe foods (but not too ripe that it rots before it gets to your store) by producing them locally, we can pick them and sell them when they’re actually ripe, and eliminate the need for artificial processes. Studies show that the natural ripening process imparts more than just flavor—key nutrients and potent antioxidants mature during the process as well. While many cultures around the world don’t have the luxury of importing foods, it’s been commonplace in the U.S. and other developed countries for most of the last century. We’ve eroded seasons—importing grapes from Chile in the dead of winter. Bananas—a fruit that doesn’t even grow in the U.S. is a staple in our diet courtesy of countries like Ecuador and Costa Rica. That’s not to say we have to give up on global trade entirely—there are indeed certain benefits and joys to the exotic. But we can opt for garden grown peaches, blueberries, apples, watermelons and cherries instead of a banana every day and still reap the nutritional benefits, if not more. 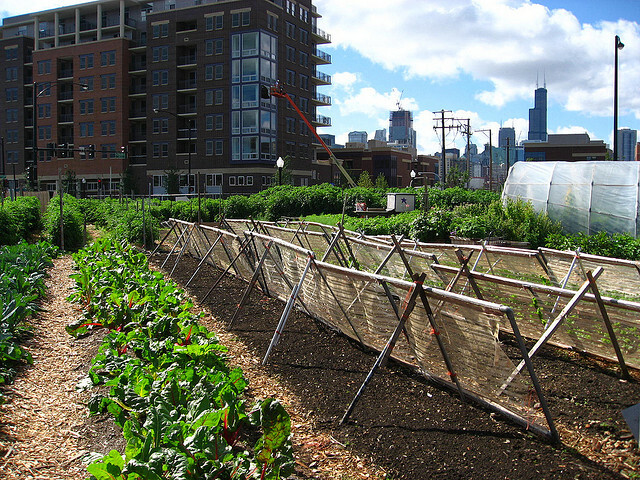 Urban farming is also reigniting communities across the country. Shrinking our food supply is, in essence, also expanding it. A focus on what we can grow in our respective environments may open us up to a world of foods we’ve never tasted before. It connects us with neighbors and small, local businesses we may not have known existed. It sparks excitement over the exotic right there in our backyards. The supermarkets, on the other hand, focus on key commodities—in the produce section and the aisles of processed foodstuffs that are dominated by genetically modified corn, soy, canola and sugar ingredients. And many of these ingredients come from out of the country at the expense of precious rainforests, where they’re grown more cheaply than here in the U.S. When we support our urban farmers, we also support communities in other parts of the world struggling to keep their vital lands, foods and traditions in tact. Whether or not you yourself can start your own garden, or grab a plot at a local community garden, you can support local farms. You can shop at farmers markets or join a CSA program. Whole Foods Market recently announced two exciting projects focused on local food. In Chicago, they’re supporting the largest indoor urban garden with an investment that will yield locally grown organic fruits and vegetables. And opening soon in Brooklyn, the Whole Foods location will feature a rooftop garden that supplies all its regional stores with fruits and vegetables. If people would only plant on the downspouts of buildings! Figs grow wonderfully there, and do not need watering due to the roof collecting dew overnight. Next post: Cleaner Air: Benefit of Trees and Gardens or Civic Duty?